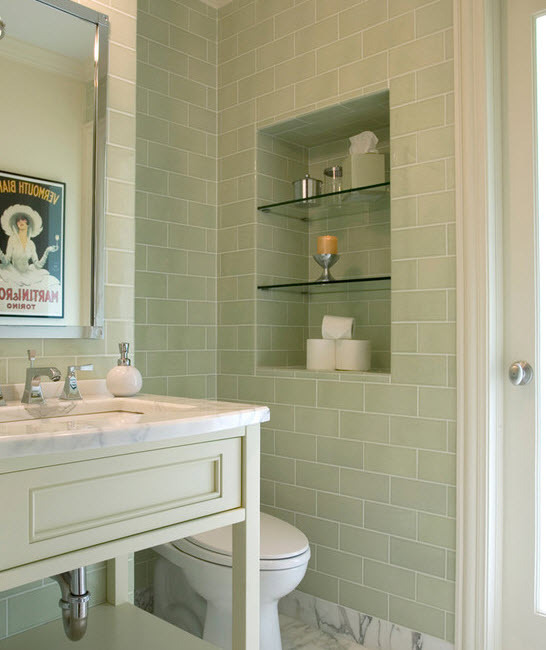 Sage green is the shade that consists of two main colors – green and gray – and you can never understand which it looks closer to. 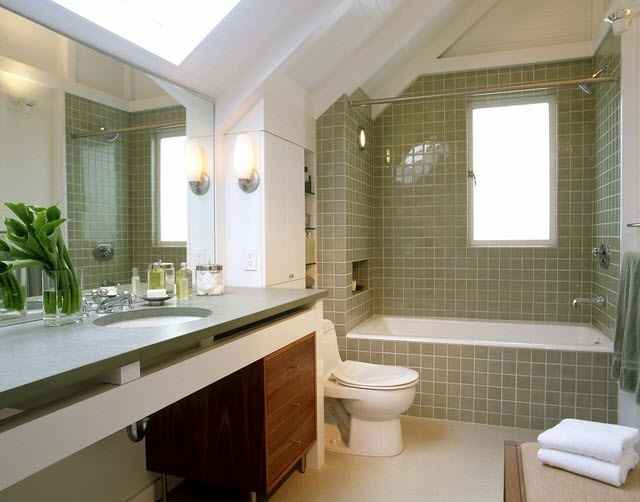 It is rather dark but calm and evokes warm feelings and relaxing atmosphere. 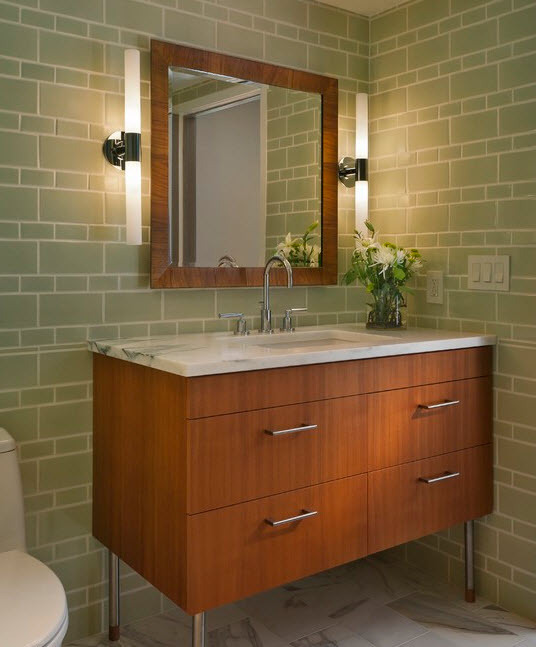 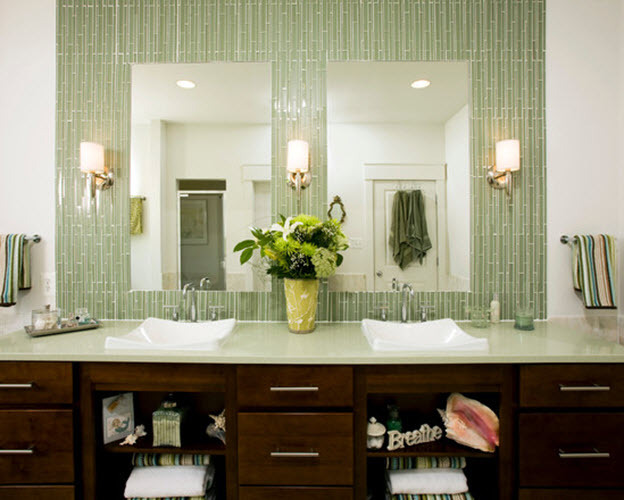 It combines perfectly with other shades of green (think mosaic) and is wonderfully contrasted to white or beige. 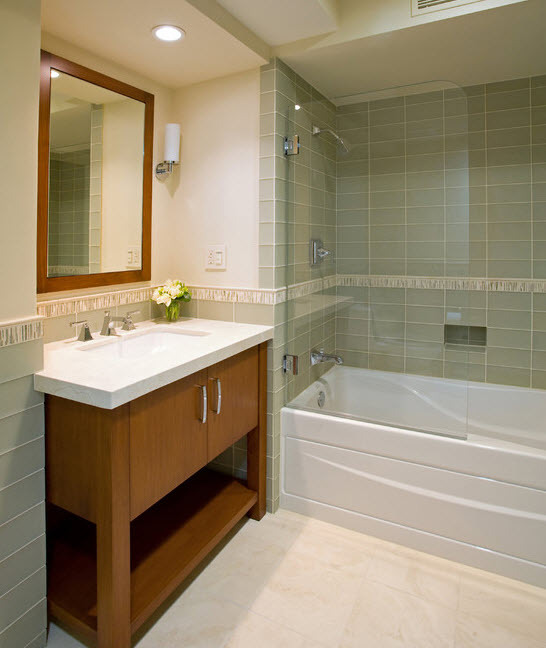 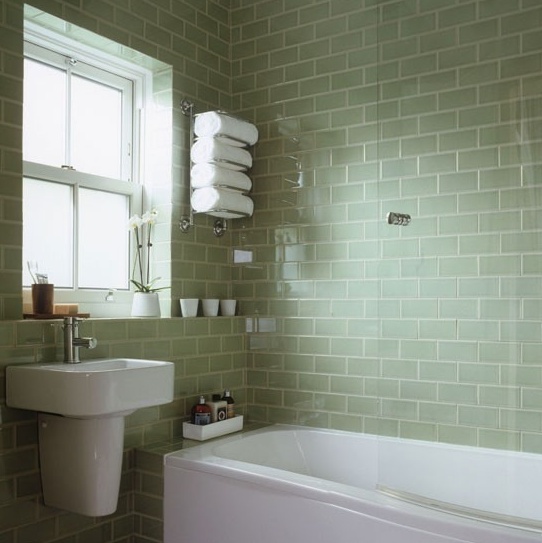 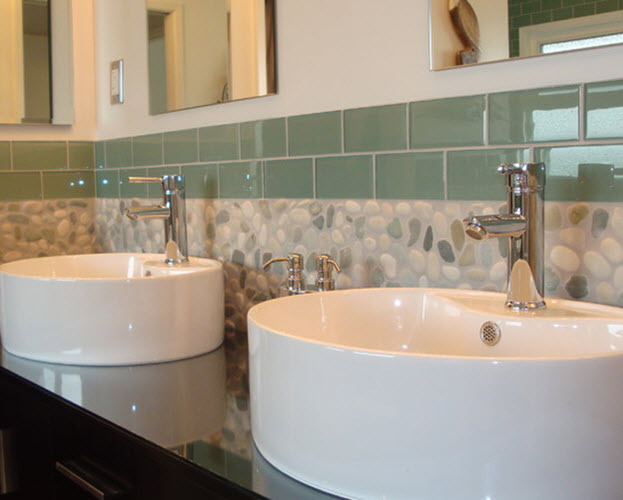 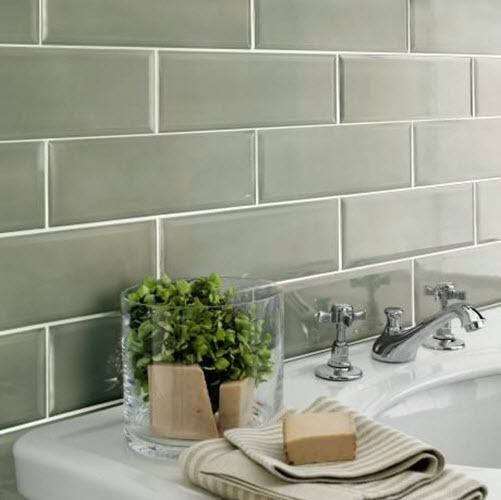 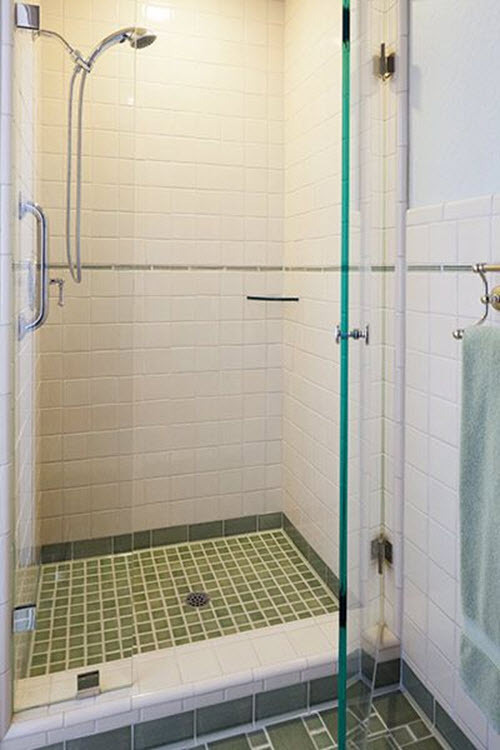 Sage green bathroom tiles come in various shapes and forms. 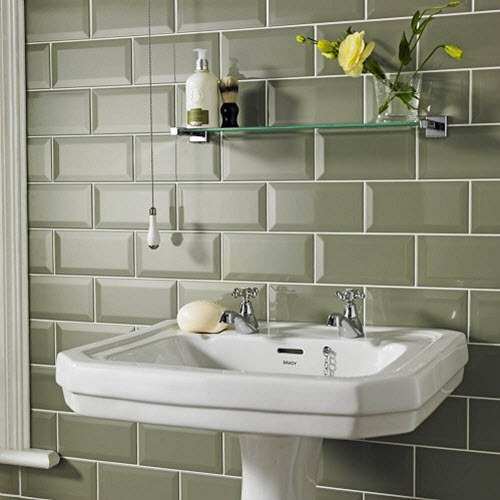 One of the most popular and interesting at the same time is subway and narrow horizontal tile with glossy finish. 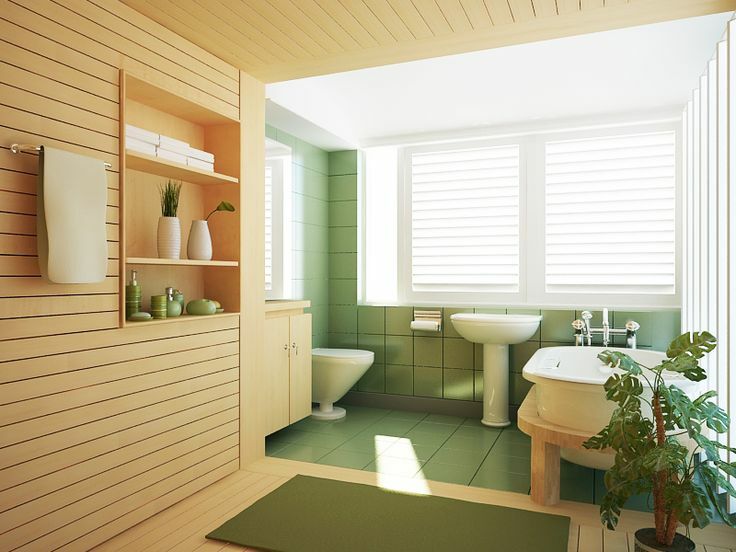 It will help you create mystical atmosphere in the bathroom but keep it cool and eye-catching. 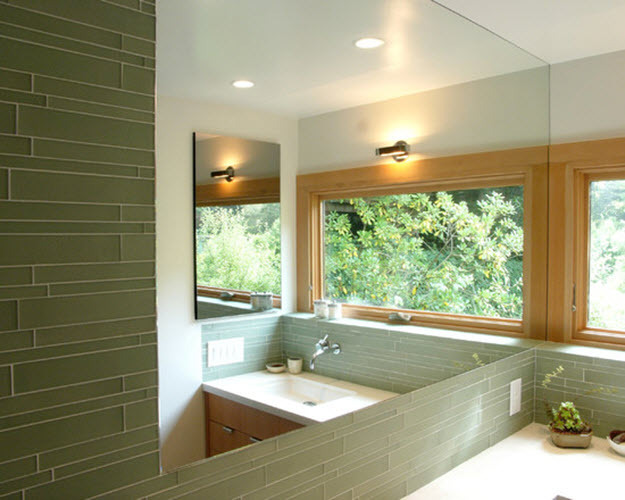 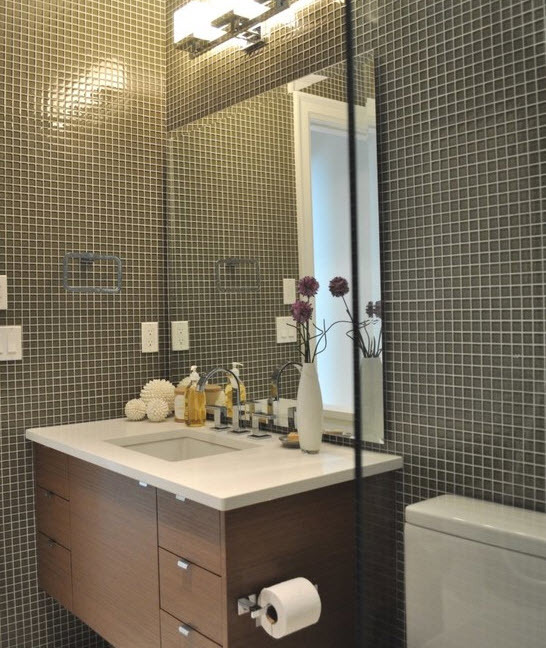 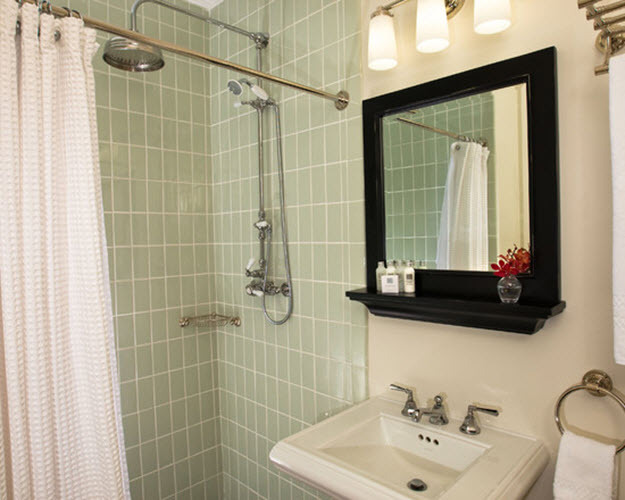 Usually, the tile of this color is used minimally, like on one wall or around mirror or sink, while all the other space is decorated with more neutral and light colors. 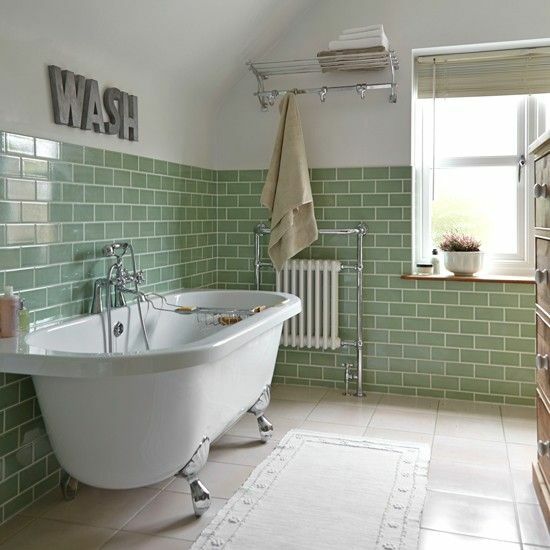 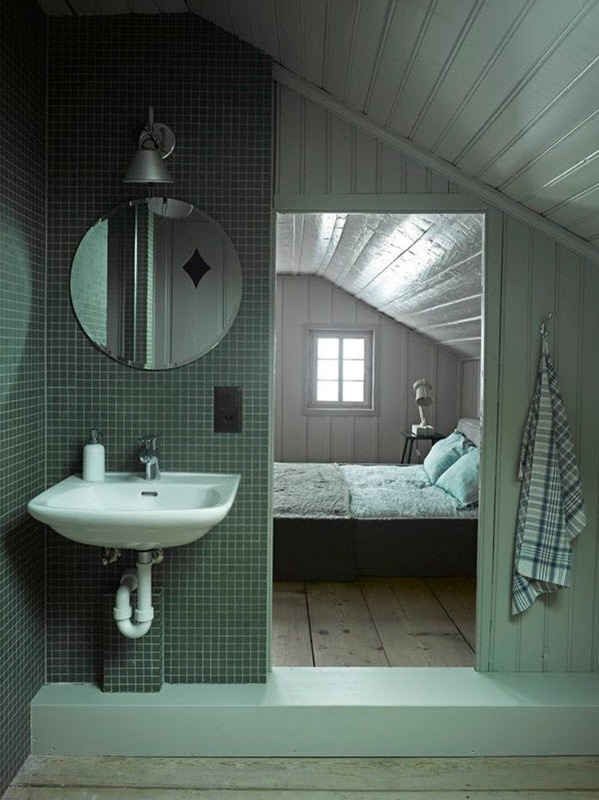 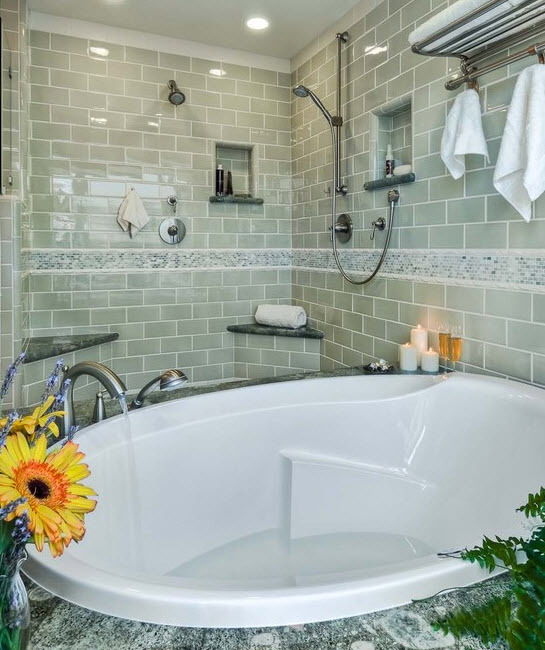 Sage green can be of different intensity: darker hues look wonderful on the floor and around bathroom but you have to be careful to nor overdo with it; lighter shades look almost pastel like and help you create spacious and gentle atmosphere. 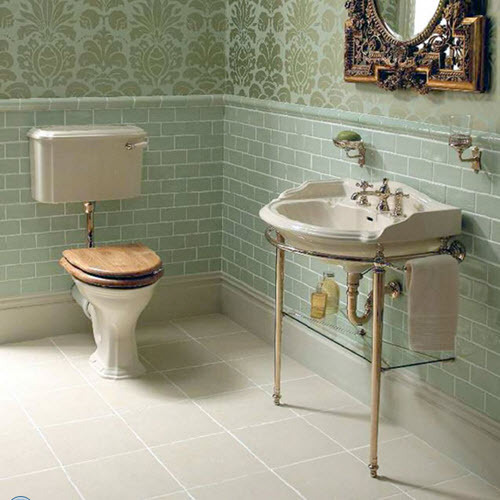 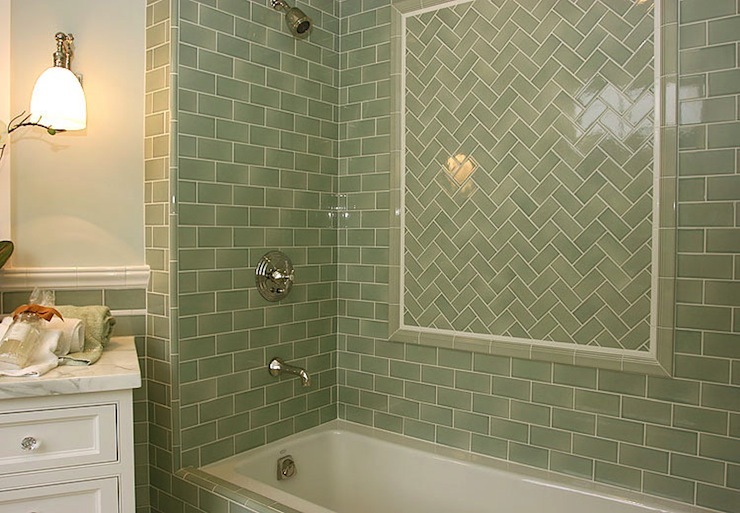 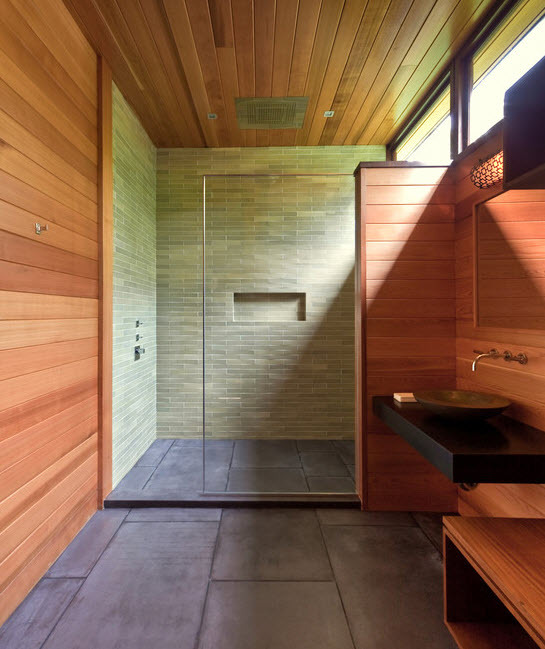 Anyway, you need to see yourself to fully understand the beauty and uniqueness of sage green tile. 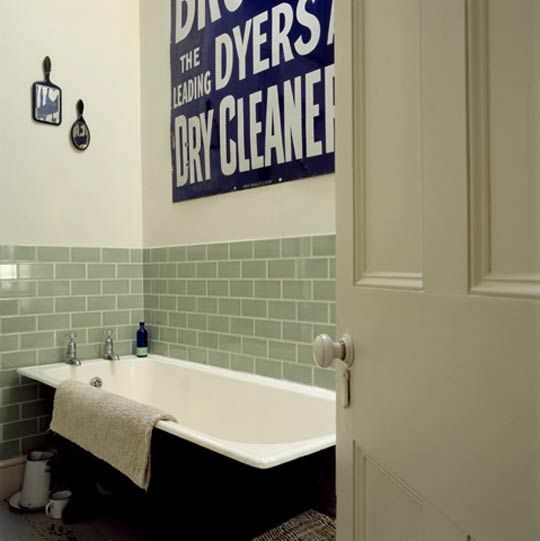 Look at these photo ideas and find the ones that suit you best!